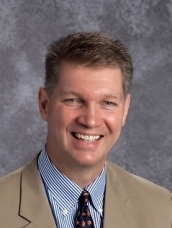 Dr. Dougherty has been at SCA since 2011. He has been a career Christian school educator having served in four Christian schools in Indiana before moving to Albany. 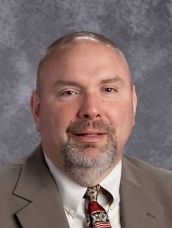 Dr. Dougherty holds bachelor's and master's degrees in education from Purdue University and a doctorate in educational leadership from Ball State University. He is an ordained member of the pastoral staff at Sherwood Baptist Church. His heart is to see the truth of 3 John 4 lived out in his students: "I have no greater joy than to hear that my children walk in truth." Dr. Dougherty is married to his wife Rachel and he is the proud father of two SCA Eagles, Colin ('20) and Caroline ('22). Mrs. Hager has been a part of SCA since 1988. 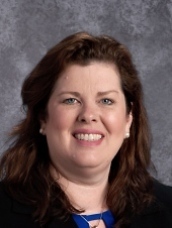 She taught nine years at SCA before becoming an administrator. 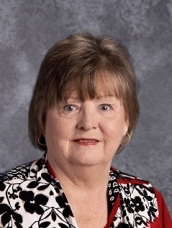 Mrs. Hager holds a bachelor's degree in education from Mercer University and a master's degree in educational administration and supervision from Albany State University. Her heart is for our faculty and students to take the time to “be still and know God” (Psalm 46:10) in such a way that it impacts their daily walk with Christ. Mrs. Hager is married to her husband Neal, and they have four children and twelve grandchildren. They have served in church ministry together for 45 years. 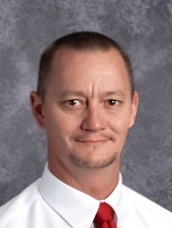 Mr. McSwain has been at SCA since 2000. He entered Christian school ministry after stints in the management programs of Kmart and Coca-Cola as well as being self-employed for two years. Mr. McSwain obtained a bachelor's degree in business administration from Georgia Southwestern State University. He has been a member of Sherwood Baptist Church since 1976 and enjoys serving in his areas of calling. Proverbs 22:6, “Train up a child in the way he should go, even when he is old he will not depart from it,” is the charge he has lived by since starting a family and greatly influenced his decision to join SCA and be a part of impacting future generations for Christ. Mr. McSwain and his wife, Joy, are the proud parents of two SCA graduates, Pete ('10) and Melody ('16). Mrs. Keefe has been at SCA since 1993. She holds bachelor’s and master’s degrees in education from Valdosta State University. 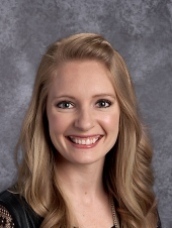 After seven years of teaching, she served as media specialist before assuming the role of guidance counselor. Mrs. Keefe uses the words from Joshua 1:9 when talking with students about college decisions and their plans after graduation: “Be strong and courageous…for the Lord your God will be with you wherever you go.” Mrs. Keefe and her husband, Mike, have two daughters, Marie ('03) and April ('06), both SCA graduates. 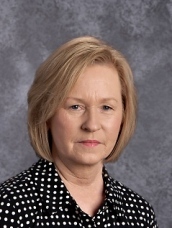 Vicki Davis has been at SCA since 2018. Vicki has been teaching since 2002 and has won numerous awards in the technology field including Edublog Award for Top Teacher Blogger, Top Podcast Host in Education, ISTE 2007 Top Online Learning Project, Top Female Edtech Influencer on Twitter, and an educational distinguished excellence award from the Center for Quality Teaching and Learning at Columbus State in Georgia. Vicki has written two books: "Reinventing Writing and Flattening Classroom" and "Engaging Minds." She has spoken for Google, Microsoft, and at the Harvard Berkman Center and Princeton as well as keynoting at more than 50 conferences around the US and world. Vicki has a management degree from the Georgia Institute of Technology where she graduated first in her class in 1991 and was named Top Student by the Georgia Tech Alumni Association. The aim of students in Vicki’s classroom is to be World Class and God Honoring. Ephesians 2:10 captures Vicki’s view of students who are “God’s masterpiece made before time began for good works.” Vicki’s goal is to help every child find their strengths and talents and to help students appreciate them in each other. Michelle Mattox has been the marketing director at SCA since 2018. Michelle leads the marketing and promotional efforts of the school, which includes advertising, event coordination, sponsorships, and internal and external communication. Since graduating from Auburn University with a bachelor’s degree in public relations and marketing, Michelle has worked for the Regional Planning Commission of Greater Birmingham, HeritageBank of the South, and MADlab Marketing. At MADlab, Michelle managed several clients’ marketing efforts, one being Sherwood Christian Academy. In 2018, Michelle joined SCA as the full-time marketing director. Michelle and her husband, Paul, are active members of Sherwood Church, and are heavily involved in the music ministry.